The United Nations system has been active in Libya since the 1950s, through the engaged presence of several specialised agencies, funds and programmes, collectively known as the United Nations Country Team (UNCT). Leveraging on the specific knowledge of each UN Agency, Fund or Programme the UN system plays an instrumental role in helping Libya development challenges while helping the country to achieve the targets of the Sustainable Development Goals (SDGs). The Country Team’s main purpose is to ensure the integrated delivery of tangible results in support of the national development and humanitarian agenda under the leadership of the UN Resident Coordinator for Libya. The UNCT ensures interagency coordination, planning, implementation and decision-making at the country level. The Resident Coordinator for Libya is the United Nations system’s in-country team-leader, with overall responsibility for the timely, effective and coordinated delivery of development programmes. (S)he reports directly to the Secretary General of the United Nations and works in conformity with the priorities established by the competent Libyan national authorities. The prerogatives of the Resident Coordinator are outlined in the General Assembly Resolution 32/197 of 20 December 1977, which provides arrangements for the better coordination of developmental operational activities by the United Nations system at the country level. As UNSMIL is an integrated mission, therefore all UN Agencies, Funds and Programmes work in synergy in order for political, humanitarian and development streams to be complementary. The UN Resident Coordinator is also the Deputy Special Representative of the Secretary General and Deputy Head of UNSMIL and therefore leads the efforts to ensure good coordination in the political, humanitarian and development spheres. The UN Resident Coordinator also acts as the Humanitarian Coordinator under whose auspices humanitarian activities are carried out. The United Nations in Libya is working collaboratively to engage with both in-country national partners and international counterparts to support real transformative progress aiming at: i) inclusive politics and a participatory post-conflict transitional process which engages all parts of Libyan society including women, youth and marginalised groups; ii) good governance anchored in security and the Rule of Law, iii) a diversified economy and inclusive human development process; vi) the delivery of lifesaving humanitarian assistance in response to the current crisis. 3) Promoting democratic principles of governance, enforcing supremacy of law and ensuring human rights-based development for all. 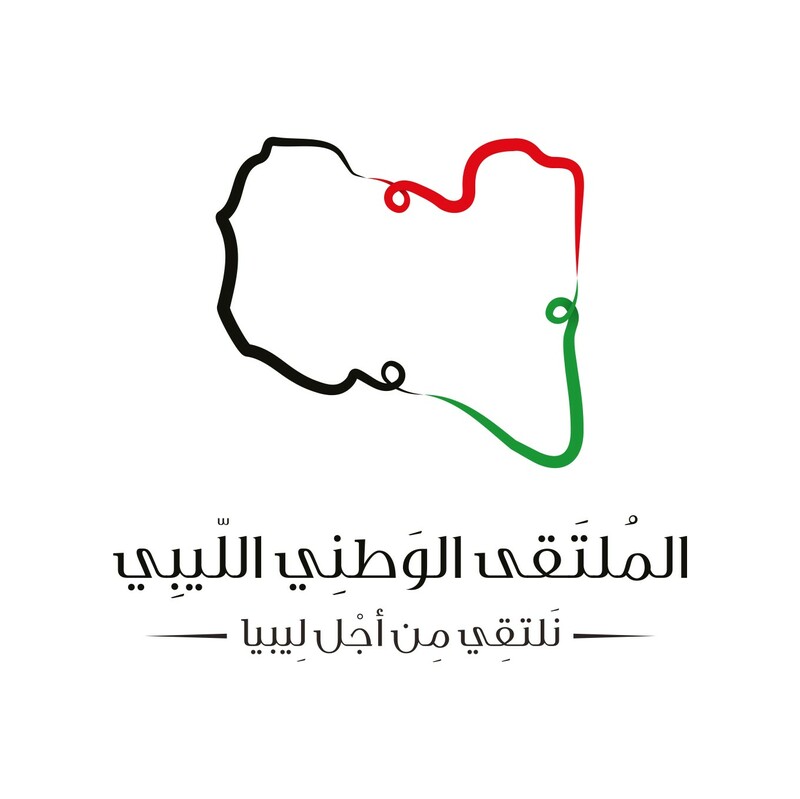 The three key thematic areas were selected in partnership with the Government of Libya, and were chosen due of their direct relationship to Libya’s future ability to achieve the Sustainable Development Goals (SDGs) and their strong causal link to a consolidated peace-building and state-building process. In July 2012, FAO and the Government of Libya signed a cooperation agreement aimed at developing the country’s agricultural sector and food security, as well as protecting its natural resources. The agreement identified a number of priority areas for FAO to provide support in, including plant and animal health and production, pesticide management, seed development, natural resource management, capacity building and institutional strengthening. The agreement will include a number of strategic projects aimed at supporting Libya to address its development goals and priorities. The agreement aims to increase food production and improve productivity while preserving natural resources such as water, all with the goal of improving the country’s food security. In addition, due to the outbreak of animal trans-boundary diseases (Avian Influenza), FMD & PPR, and the deterioration of food security, FAO is providing assistance to prevent and mitigate risks through emergency projects, including supporting small-scale farmers with improved seeds to enable boosting their agriculture production and produce their own food. Nuclear Energy: The Agency supports the Libyan Atomic Energy Establishment (LAEE) through the provision of technical expertise and training related to the introduction of nuclear energy and the utilization of research reactors. Expertise and training is also provided on managing naturally-occurring radioactive materials in the oil and gas industry. Radiation Safety: The Agency has assisted Libya with the review of the Nuclear Law (June 2014) i.e. an efficient and effective national regulatory control for activities such as authorization (OF WHAT? ), inspection and enforcement. National project LIB9014 on Strengthening National Regulatory Infrastructure for Radiation Safety was approved for the year 2016-2017 and aims to strengthen the national regulatory infrastructure for radiation safety in the country. Radiation Medicine: In partnership with the LAEE, IAEA is building national capacity in nuclear medicine and radiotherapy. Technical experts and training in radiotherapy and nuclear medicine are being provided to staff in five medical centres, including at the Tripoli Medical Centre. There is also an ongoing process to support the human resources available in the country through long and short-term training in the area of radiotherapy and medical physics. Insect Pest Control: In agriculture, IAEA supports Libya to enhance the technical capabilities in suppressing native fruit flies using the integrated Sterile Insect Techniques (SIT) and related area-wide technology. Areas of support: displacement tracking matrix, community stabilization, humanitarian repatriation and reintegration, life-saving humanitarian assistance, capacity-building, saving lives at sea, protection of vulnerable migrants. Life-saving humanitarian assistance: In order to meet the urgent needs of vulnerable IDPs and migrants (especially those detained and rescued at sea), IOM provides different critical services such as emergency food rations, non-food items and hygiene kits, basic medical equipment and supplies, critical health care, psychosocial counseling, and referral services. Displacement tracking matrix (DTM): DTM Libya was established with the purpose of providing accurate and timely information on the locations and movements of IDPs, returnees and migrants. The data and results produced by DTM are used to coordinate targeted and evidence-based humanitarian assistance and advocacy. For more information and DTM reports, visit www.globaldtm.info/libya. Community stabilization: IOM’s community stabilization program in Sabha and Al Qatrun in southern Libya aims to improve, social cohesion and stability, through supporting a range of small-scale interventions, including restoration of basic infrastructure and essential services, support to livelihood opportunities, civil society capacity building, socio-cultural activities, and support to local governance. Saving lives at sea: Working together with the Libyan Coast Guard, port authorities, and the Directorate for Combating Illegal Migration, the Italian Coast Guard, and other relevant actors, IOM established Standard Operating Procedures for the safe disembarkation of migrants rescued at sea, provision of immediate assistance for men, women and children, vulnerability screenings and identification protocols, referrals to access further assistance, and other sustainable solutions. Protection of vulnerable migrants: IOM advocates for the regularization of migrants’ status, alternatives to detention, and improved access to basic services, including health. IOM will develop and disseminate multi-media campaigns that transmit messages regarding safe migration practices and the dangers of irregular migration. Humanitarian repatriation and reintegration assistance: Vulnerable and stranded migrants are able to access dignified voluntary repatriation assistance and sustainable reintegration services in their countries of origin. For particularly vulnerable cases, such as victims of trafficking or unaccompanied migrant children, IOM implements rights-based procedures in line with international standards. Capacity building: IOM focuses on the capacity building of governmental and non-governmental entities by providing a wide range of training programs to scale up their capacities to respond to the increasing humanitarian needs in the country. For more information, please see IOM Libya’s website, Facebook and Twitter. Areas of support: coordination, advocacy, information management and humanitarian financing. OCHA is responsible for bringing together humanitarian actors to ensure a coherent response to emergencies and to assist affected people when they most need relief or protection. A key pillar of OCHA's mandate is to coordinate effective and principled humanitarian action in partnership with national and international actors. Humanitarian coordination seeks to improve the effectiveness of humanitarian response by ensuring greater predictability, accountability and partnerships. OCHA has a key role in operational coordination in crisis situations. This includes assessing situations and needs; agreeing common priorities; developing common strategies to address issues, such as negotiating access, mobilizing funding and other resources; clarifying consistent public messaging; and monitoring progress. In Libya, OCHA provides strategic and operational coordination for scaled-up responses to the humanitarian crisis; to increase humanitarian space and access; and to ensure that people in need in Libya have access to basic services until national plans and development priorities are in place to deliver the required services. Specifically, OCHA supports: coordination; advocacy; resource mobilization; and information management. Coordination: OCHA supports the Humanitarian Coordinator and Humanitarian Country Team in responding to the immediate humanitarian needs of those most vulnerable inside Libya. OCHA is facilitating the inclusion of the Libyan Humanitarian partners and working with the international humanitarian partners to have more participatory humanitarian response. OCHA is coordinating the humanitarian partners’ efforts to identify of the humanitarian needs and to ensure the response is driven by the needs instead of accessibility. Advocacy: OCHA advocates for improved humanitarian access to affected people in affected areas, including efforts to negotiate access with various parties to the conflict and to improve engagement with the Government of National Accord in order to fulfil its obligations to the Libyan people. Additionally, OCHA works to improve common humanitarian messaging with regards to the Libyan context. OCHA engages with the different humanitarian stakeholders to ensure IHL is respected and the most vulnerable people, Libyan and other are protected. Information Management: OCHA produces key information products to inform the international community on the situation, as well as on the key needs and priorities of the deteriorating humanitarian crisis in Libya. These products also inform strategic decision-making and response planning. OCHA supports data collection, joint assessments and reporting on humanitarian activities. Humanitarian financing: OCHA supports and undertakes advocacy to increase donor engagement and funding for Libya, particularly for the Humanitarian Response Plan. UNDP has been working in Libya since 1976. Over the years we have re-aligned our support to meet emerging priorities in the country. Since the outbreak of conflict in 2014 and the deteriorating humanitarian situation, we continue to support Libya's transition to an inclusive political agreement, accountable governance, stabilization, economic recovery and resilience. UNDP is committed to supporting stabilization efforts in the country and bridging the critical period of transition, from humanitarian relief to sustainable development and democratic governance. Launched in 2016, and led by the Government of the National Accord (GNA), the Stabilization Facility for Libya is a multi-country initiative supported by UNDP, aiming to provide visible and tangible improvements at the local level. Support is provided to rehabilitate critical infrastructure; boost capacity of local authorities to address the needs of the population; and enhance local mediation and conflict resolution capacities. Since 2011, UNDP has worked closely with UNSMIL in supporting the democratic transition in the country. UNDP supported the High National Electoral Commission (HNEC) in organizing three nationwide elections; for the General National Congress in 2012, the Constitutional Drafting Assembly (CDA) and the House of Representatives (HoR) in 2014. Key focus areas include strengthening political dialogue, assistance in building a constitution, and strengthening the rule of law. UNDP supports efforts to empower civil society, strengthen transitional justice processes and enable greater participation of women in decision making. Cooperation in this area includes support for civic engagement in Libya’s Transition (SCELT); working with Libyan women to strengthen their political participation through the AMAL (HOPE) project and supporting transitional justice processes through dialogue and conflict resolution between different communities. a) Support to basic lifesaving health interventions through provision of emergency reproductive health kits and, equipment to primary and secondary health care centers. c) Strengthening the capacity of local health partners to provide quality services to all people in Libya. Sexual Gender-based Violence (SGBV): In collaboration with Ministry of Social Affairs, Ministry of Health and other relevant line ministries, civil society and communities, UNFPA is providing technical assistance to strengthen coordination between national actors on the ground, improve national capacity, and combat SGBV through prevention and response. Youth empowerment: UNFPA launched the development of a “Youth Policy Paper for National Youth Strategy” in collaboration with government partners and civil society, with the aim of presenting an in-depth analysis of the current youth situation and challenges. UNFPA also aims to enhance the capacity-building of Libyan youth and bridge it with advanced technology through a “Basic life skills” mobile application in order to support youth towards becoming positive change agents. Data and population: UNFPA works in close collaboration with the Libyan government and municipalities to modernize the National Statistic System, support evidence-based planning in Libya, and improve quality, access and data-utilization. UNFPA supports the Bureau of Statistic and Census to conduct regular national Multi-Sectoral Needs Assessment to provide Libyan national and local institutions as well as the international Humanitarian and Development agencies and local CSOs in Libya with accurate data for a rapid Humanitarian intervention. UNFPA is undertaking a city profiling initiative jointly with UN-Habitat. The City profiling provides spatial analysis of cities and neighborhoods, reviews the functionality of urban infrastructure and services, and analyzes the impact of the crisis on people and their coping mechanisms. The United Nations Human Settlements Programme (UN-Habitat) is the UN organization mandated to promote environmentally and socially sustainable human settlements and adequate housing for all. UN-Habitat has worked in Libya for over two decades in support of the Urban Planning Agency, on issues of spatial planning. This included providing institutional support and capacity development since 2002 in order to achieve a national policy for spatial planning (2006 to 2030), a large number of regional and sub-regional plans, and the basic designs of cities, towns and villages. Since 2016, UN-Habitat is undertaking a city profiling initiative jointly with UNFPA. City profiles provide spatial analysis of cities and neighbourhoods that take into consideration demographic changes as a result of forced displacement, and review the functionality of urban infrastructure and services, including water, sanitation, health and education that may be strained through rapid population influx, damaged due to conflict, or neglected. The analysis also reviews the local economy, cost of living, the housing sector and rental market, food and employment. Through spatial, multi-sectoral and inter-sectoral analysis using GIS mapping, a dynamic overview of cities is provided that identifies neighbourhoods in critical need, and key priorities for action in each sector. UN-Habitat works to support UN stabilization, recovery and reconstruction efforts in urban areas through providing technical support in spatial planning, housing and infrastructure rehabilitation; addressing housing, land and property rights, in particularly for displaced populations seeking to return; and supporting policy and institutional development in housing, urban planning and land related issues. UNHCR’s core mandate is to provide protection and direct assistance and ensure access to durable solutions for refugees, asylum-seekers, internally displaced persons (IDPs), returnees and stateless persons. In Libya, UNHCR works with partners to promote and enhance the protection environment and provide humanitarian lifesaving assistance for refugees, asylum seekers, IDPs and returnees. UNHCR’s key objective is to enhance the protection environment of refugees and asylum seekers who, are faced with threats to their physical and legal safety in Libya. UNHCR identifies, registers and documents persons in need of international protection. UNHCR also works to improve conditions inside detention centres through providing in-kind humanitarian assistance, identification and advocacy, and advocating for the release of refugees, asylum-seekers and other persons of concern. Moreover, UNHCR is contributing to maintain and enhance IDP monitoring to ensure timely and proper evidence-based advocacy for response and for the “rights environment” of IDPs in Libya. Capacity-building is also one of UNHCR Libya’s main activities, with several trainings organized for Libyan officials, civil society and other actors on core protection principles and refugee law. UNHCR provides primary healthcare and psychosocial support to refugees and asylum seekers through its two Community Development Centers in Tripoli. UNHCR also provides primary health care to those held in detention centers. UNHCR also supports five health posts built at disembarkation points, and provides those rescued at sea with medical care. UNHCR advocates with the relevant health authorities to ensure that refugees and asylum seekers maintain access and good integration in the public health system. UNHCR distributes monthly financial assistance to refugee, asylum seekers and internally displaced families to cover for shelter and basic needs. UNHCR continues to distribute non-food items (NFI) such as hygiene items for refugees and asylum seekers in urban areas, upon disembarkation, and in detention centers. It also continues to provide life-saving NFIs to newly displaced IDPs. Areas of support: inclusive and sustainable industrial development: industrial value chains, small and medium enterprises (SMEs), job creation; energy and environment. Industrial value chains, SMEs, job creation: Within the framework of the planned Country Program Framework established by UNIDO and the Libyan Ministry of Industry, UNIDO aims to support the rehabilitation, diversification and growth of the Libyan industrial sector. The objective is to increase the sector’s contribution to GDP by increasing value-added and productivity, improve support services available to industrial SMEs, contribute towards providing new job opportunities, particularly for the youth, and address the environmental impact of industrial activities. (ii) promotion of Small and Medium Enterprises (SMEs) through the development of value chains to be selected among the following sectors: local demand-based industries (cement, building and construction material, food, textile, leather and pharmaceutical); natural resources-based industries (including petrochemical, chemical and plastics and engineering industries); feeding and complementing industries; agroindustry. Energy and environment: Within the framework of the Montreal Protocol, UNIDO is currently implementing activities to phase-out ozone-depleting substances and envisages working with the Libyan Ministry of Industry to promote cleaner production and industrial energy efficiency. UNICEF programme covers the entire country with a particular focus on Benghazi, Tripoli and Sabha. UNICEF has signed Memoranda of Cooperation under the “Together for Children” national campaign, with 28 municipalities across the country. Cooperation with municipalities is a key tool for assessing needs, monitoring and advocacy. Among the concrete outcomes of such cooperation is the release of children associated with armed groups. In Education, UNICEF is supporting the Education and Management Information System and provides emergency support through the rehabilitation of schools including water and sanitation facilities; training of teachers on education in emergencies and providing catch-up classes for out-of-school-children. UNICEF’s Child Protection programme supports the establishment of a protective environment for children through institutional capacity building at the justice sector; advocating for the release and re-integration of children associated with armed groups and establishing safe play areas for children. UNICEF continues to raise awareness on the risk of mines. UNICEF’s WASH interventions aims to improve the overall health, water, sanitation and hygiene situation of affected families and improve the WASH facilities in schools. Technical capacity building is ongoing at the level of municipalities and national partners in Tripoli and Benghazi. In Health, UNICEF, WHO and the National Centre for Disease Control have agreed to a Memorandum of Cooperation to support the rights of all children in Libya, specifically the right to survival and development, mainly through vaccination. UNICEF’s Youth programme covers the age from 10 to 24 years through a series of youth development interventions. Comprehensive and gender-sensitive social inclusion programmes have been tailored to meet the needs in selected areas and to serve as models for geographic expansion. These programmes will ultimately contribute to the design of national policies and services for the youth. Risk Education: UNMAS collaborates with the National Mine Action Authority (LibMAC), UNICEF and NGOs to provide mine risk education and create awareness of the hazards of mines, weapons, explosive remnants of war and unexploded ordnance in Libya. Risk education is aimed at both children and adults. Clearance of Explosive Hazards: 2017 is the 20th Anniversary of the creation of UNMAS and the Convention on the Prohibition of the Use, Stockpiling, Protection and Transfer of Anti-Personnel Mines and their Destruction, known informally as the Anti-Personnel Mine Ban Convention. Libya is not a signatory to the convention. UNMAS supports the LibMAC and other national authorities and NGOs, through providing training and equipment and coordination of the clearance of mines and other explosive hazards in Libya. UNODC operates in Libya through its “Sub-regional Programme Office for the Maghreb Countries”. Through converging its national, regional and global projects. UNODC is currently engaged in Libya in the areas of justice reform, drug control, drug treatment and HIV prevention and care, promoting integrity, transparency, combating corruption, terrorism, prevention, border management, as well as combating migrant smuggling. Although well-situated to continue these programs and expand its focus into other key priority areas as identified by the Libyan government, UNODC is focused on capacity-building abroad and providing advisory services upon the request of the relevant national authorities due to the current political and security challenges. Procurement: UNOPS has been supporting the Organization for the Prohibition of Chemical Weapons (OPCW) in the procurement of equipment and services in Libya. Human resources: UNOPS supports WHO and UNHCR for personnel contracts administration. Since 2014, UN Women has partnered with civil society and governing bodies to address the different constraints impeding women’s active engagement in the public and political spheres. UN Women has focused its intervention on women’s political participation with the aim of ensuring that women in Libya equally participate in the political transitional processes and are represented in political decision making organs at the different levels. Most of the work has been done through the Promoting Libyan Women as Agents of Peace project (funded by the Government of Switzerland) and the Spring Forward for Women programme (funded by the European Union) and in collaboration with UNSMIL. Through these interventions, a pool of more than 50 women representing governing bodies and civil society increased their capacities to actively engage in national dialogue and the transitional period, by strengthening their skills on advocacy, conflict resolutions, negotiations, constitutional drafting and providing them with a platform to discuss their needs and priorities. Libyan women then gathered in Montreux in 2015 and issued a set of requirements – the Minimum Agenda for Peace and Security - to ensure women’s full participation in the humanitarian, peace and transitional processes. More recently, (in September 2016), UN Women organized a meeting on ‘Ensuring women’s Equal Participation in Humanitarian, Peace and Transitional Recovery Processes in Libya’. The meeting provided an opportunity to reaffirm gender equality and women’s empowerment as essential means for achieving peace and security, human rights and sustainable development. Libyan participants and the international community exchanged experiences and views on advancing women’s equal and active engagement and participation across the humanitarian-development continuum. WFP has been providing emergency relief in Libya since April 2011, when the uprising in Libya caused major food shortages in conflict areas across the country. Through its current emergency operation, WFP aims to provide food assistance to those who have become food insecure as a result of the conflict. WFP provides vulnerable families (primarily IDPs and refugees), with basic food items such as rice, pasta, chickpeas, wheat, flour, vegetable oil, tomato paste and sugar. For over two years, WFP has worked with Libyan NGOs to consistently assist displaced and vulnerable people living in remote, dangerous and volatile areas. For over a year, WFP has worked with the Sheikh Taher Azzawi Charity Organization (STACO) throughout the West and South of the country, and LibAid in the East. In September 2016, WFP started working with Libyan NGO Ayady Al Khair Society in order to distribute food to people in Tripoli and the surrounding area. WFP’s partners work closely with local crisis committees, representing communities who provide WFP with the information needed to assess where life-saving food assistance is most urgently needed. Recent studies conducted jointly by WHO and the Libyan Ministry of Health show that out of 97 hospitals (rural, general, specialized), 17 are closed after being damaged during the conflict. From a remaining 80 hospitals, 48 (60%) operate at less than 50% capacity. Only four hospitals’ service availability and functionality are at 75-80%. WHO and national and international health partners united their efforts to maximize needed assistance, reduce avoidable illnesses and mortalities, and prevent major outbreaks from occurring. WHO continues its efforts to advocate for a greater allocation of health sector resources to the government. Reinforcing the Health System: On July 2016, WHO Libya in collaboration with the Ministry of Health, UN partners and other stakeholders reviewed the priority actions identified and action plans proposed for the Libyan health system. In collaboration with John Hopkins University, it established a core of national healthcare managers to strengthen emergency care capacity in Libyan hospitals. Soon a multisector “emergency preparedness and response unit (EPRU)” will be established in MOH enabling the country to respond to different emergencies. Early Warning Alert and Response System: Early warning and response system (EWARS) functions of an integrated surveillance system aiming to detect any abnormal communicable diseases phenomenon and to provide an adequate and timely response. It was established in February 2016 in Libya after agreeing on eight immediate notification diseases. The EWARS reporting will be expanded from 32 sentinel sites to 100 sentinel sites. The capacitated rapid response teams will not only mitigate the outbreak but will also respond to other acute emergencies in collaboration with emergency preparedness and response unit. Strengthening Health Information for Decision-Making: WHO with financial support of the EU has started implementing a two-year project to strengthen the health information and supply chain management systems, allowing decision-makers to make informed decisions and address the issue of inflated prices in drug procurement. Health Sector Coordination: WHO leads Health Sector coordination in Libya and seeks to implement proper healthcare service and avoid duplication. It organizes monthly coordination meetings with all health implementing partners in Tunisia and Tripoli with national and international partners, UN agencies, donor communities and government health officials attend. WHO in collaboration with MOH is updating all the disease specific protocols according to the scientific guidelines. The capacity building of physicians and paramedics on updated guidelines is ongoing at national, regional and global level. WHO is now more focused on building institutional capacities like establishing emergency preparedness and response unit, modern ware housing system, model nursing school and modern health information system. WHO in collaboration with partners are providing lifesaving medicines and equipment’s to the healthcare facilities across Libya based on the urgent verified need. Strengthening health care services for all including immigrants and refugees. WHO in collaboration with MOH, UN, international and national NGOS are negotiating a contract with EU to strengthen the primary, secondary and tertiary health care which will not only benefit the local population but will also will ensure a dignified free of cost comprehensive health coverage to immigrants, refugees and displaced people.